Here are a few more shots from the Titan teaser trailer. I have a rough cut assembled, but still have a few locations shots to grab. I'll be re-grading everything, as I just built an initial quick look to get a feel for it. Yesterday, I had a change of pace and directed a teaser trailer as a proof of concept for a short film (though I have additional story elements already in place so I could easily turn it into a feature). My friend had built a set for another movie that I was set to shoot when the production suddenly shut down and the movie was canceled. Since the set was due to be dismantled at the end of this month, we thought it a shame it hadn't been used and decided to shoot a small project on it. With little warning that we had access to the set before being taken down, this shoot was kind of a last minute thing, so rather than having auditions for casting, I went with some actor friends of mine that I knew would be great. I wrote a short trailer script based on an idea I've been tossing around for a while, and got my actors all on board. Then I spent this past week tracking down wardrobe, generating character breakdowns for the actors, and drawing up storyboards. Nick Forte, my usual 1st AC (and sometimes camera operator), does DP work as well and we get along great, so I brought him on to shoot this for me. We had a good time, got some great footage, and even finished out the day early (just barely). I had sent Nick some reference screengrabs from Aliens and Prometheus as the look I was going for, kind of an old, run down look with pools of light, and he did a great job giving me the dark, oppressive lighting I wanted and he got it done with a two man crew and minimal G&E kit. When I wasn't busy working with the actors, I also pitched in a hand with lighting. Shot on RED Dragon, 5.5K WS @ 6:1 compression. A set of T2 Sony CineAlta PL lenses let us make the most of the limited lighting available. Screenshots have a quick grade on them, but may not be the final look. 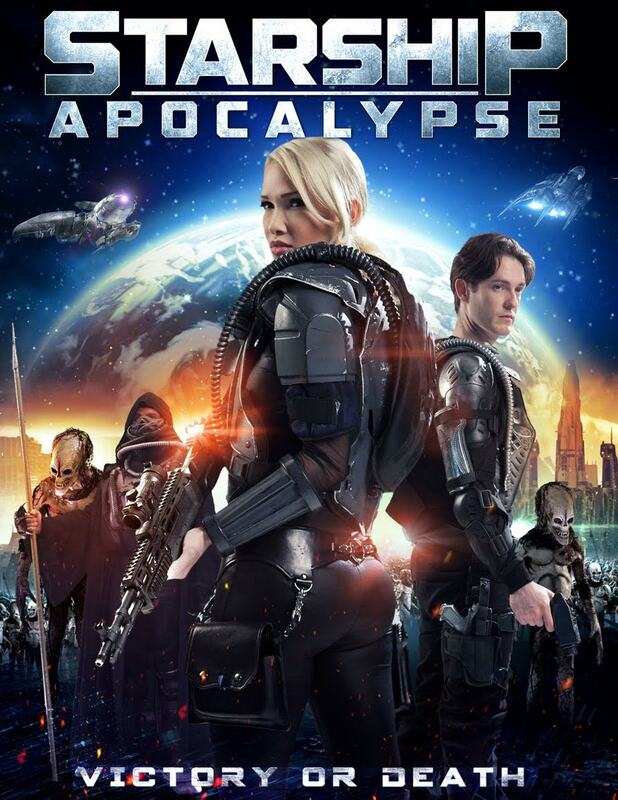 Last night was the premiere of the science fiction feature film Starship: Apocalypse, sequel to last year's Starship: Rising. 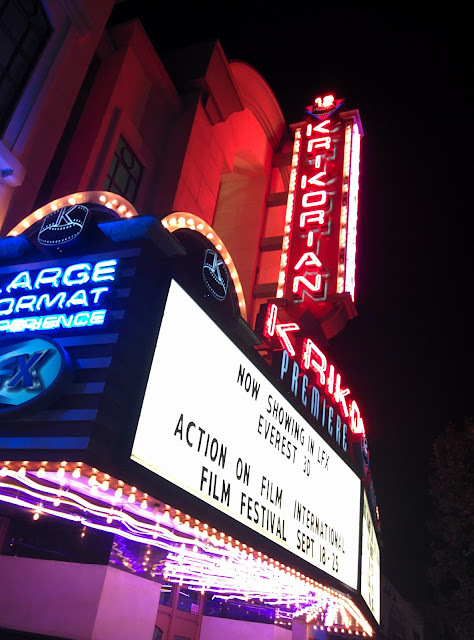 Once again, it debuted at the Action On Film festival. It was interesting to watch this, as I shot the movie almost 3 years ago. I also enjoyed catching up with some of the cast and crew that I haven't seen in quite some time, some of them since we originally shot! Good times. It's been a busy past couple weeks. The past weekend was Long Beach Comic Con, where an upcoming sci-fi feature Triborn had a panel. While they are still early on in pre production, I've been penciled in to shoot the movie. We still have a ways to go (Kickstarter campaign, raising additional private funding, etc), but already there is a pretty solid cast in place and a couple of possible additions that would be fantastic. The panel went well and I met a producer afterward that is interested in working with me. The past couple weeks I've also been prepping to shoot my own little project, a teaser trailer for a film that I'm working on writing and planning on directing. I won't be DPing this, as I don't want to wear too many hats, but am leaving that job in the very capable hands of a friend of mine. Everything is coming together and I have a great cast. We'll be shooting that this coming Monday. Lastly, I shot some plate elements today for a Sony PSA today. 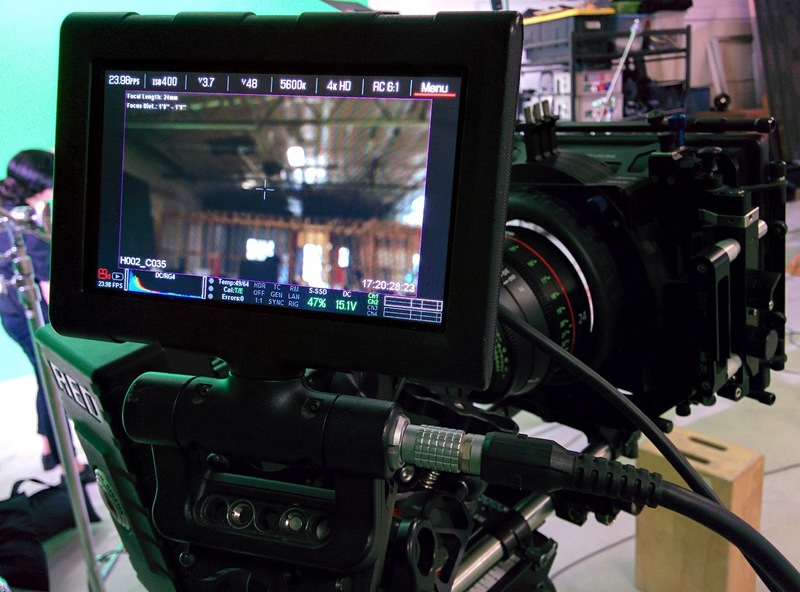 We used the RED Epic Dragon, which I work with all the time, but I also had the pleasant opportunity to shoot with a Canon CN-E cine prime set, the first time I've used these lenses. I had read an interview with Homeland DP David Klein, ASC about his choice to shoot with them on that show and have wanted to try them out since. I have to say, I was impressed. The lenses are nice and sharp, but not harshly so. The build quality is nice, with good mechanics and feel to the iris and focus rings. All of the shoot was on greenscreen today, so I didn't get to test them out under too many lighting scenarios, but I was happy with their performance. Hopefully I'll get more chances to see what these lenses are really capable of.